We love love, in all its many shapes and forms. Especially in light of the current administration’s open attack on trans and non-binary individuals, we are afraid for our friends and for ourselves. Please know–we will continue to fight. Visibility and representation have always been huge and important steps in the battle for equality. 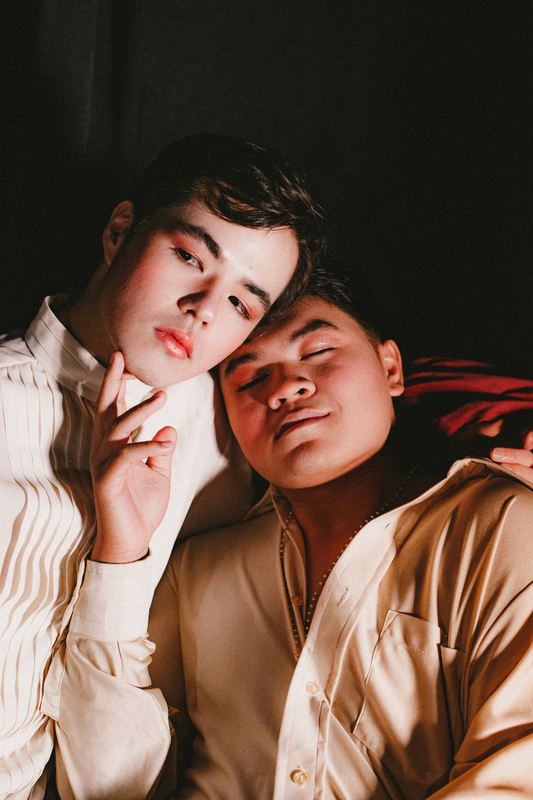 With this shoot, we wanted to put the beauty of LGBT+ love right at the forefront, where it can’t be ignored or looked around. It is not abstract. It is right here, and it is love, honest and potent. In the words of Gabriel Garcia Marquez, there is “no god worth worrying about” who would rebuke it. “This body is not yours to punish, but mine to mutilate. This name is not yours to decide, but mine to dictate. My being is not yours to criticize, but mine to liberate.